Bad Times At The El Royale (2018), Drew Godard's take on a pulpy noir/crime film, starts off very promisingly but eventually settles into…maybe not quite mediocrity but something akin to it. After making Cabin In The Woods (2012), I would have expected Godard to subvert/deconstruct the genre a bit more. Additionally, the significance of most of the characters' back stories is never satisfyingly delved into, the score is nondescript wallpaper (the soundtrack is great though) and the run time is far longer than it needed to be (especially for a film with little character development). 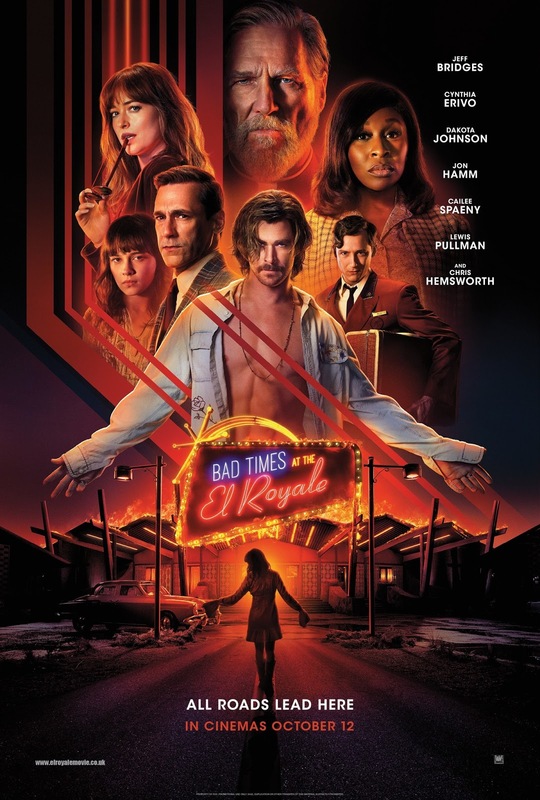 That said, the film is fun at times, the production design is colorful, it's well-shot and looks pretty = ***1/2 for the technical aspects, **1/2 for the film itself, so *** overall.